Enjoy 7 beautifully animated songs in crystal clear presentations. Maharishi Veda Vision presents an historic commemorative DVD—Swarn Jayanti—Golden Jubilee of Shri Guru Dev. A beautiful combination of rare video footage and animation complementing Maharishi's words in Hindi that have been put to song in the melodies that swing in waves of celebration. A tribute to Supreme Knowledge—the eternal wisdom of life that has been enshrined in the hearts and minds of the great Sages since time immemorial, and is ever lively as the light of life in this generation through the grace of the Vedic Tradition of Masters—Vedic Guru Parampara—in which Guru Dev, His Divinity Swami Brahmananda Saraswati, stands closest to us. The DVD package includes a precious 8-page booklet "Our Guiding Light—Maharishi Speaks on Guru Dev." This is a special gift of knowledge and inspiration from Maharishi to everyone everywhere. The sequence of 'Celebrations' is presented on DVD (digital video disk) because of the very superior audio/visual quality this technology affords, allowing one also to navigate instantly through the selections. Maharishi Veda Vision presents the beautiful new DVD, Heaven is Descending. 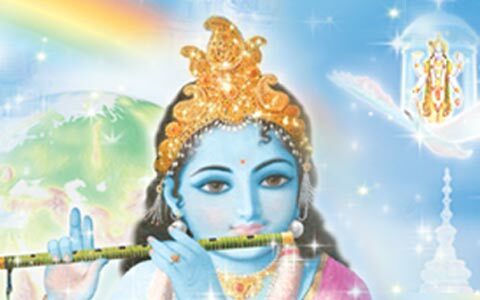 Enjoy in full resolution and high quality stereo the well-known and beloved animated song that depicts the Light of God—Guru Dev's Grace—bringing Heaven on Earth. Heaven is Descending is presented in a stunning, full-colour DVD Digipack and is available in the format suitable for your country.